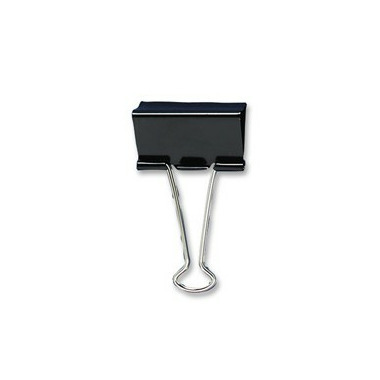 Fold-back binder clips are made of tempered steel that provides extra-strong hold on your documents. Clip springs back when removed. Wire arms fold down to simplify filing and storage. Keep arms upward for a convenient hanger. Steel is rust-resistant.